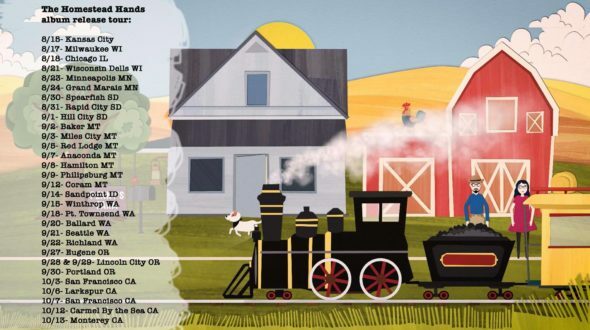 There is a lot of songs and an increasing amount of animated music videos released online in 2019. Since live-action music video is not always suitable, using animation is a popular way to make a music video. 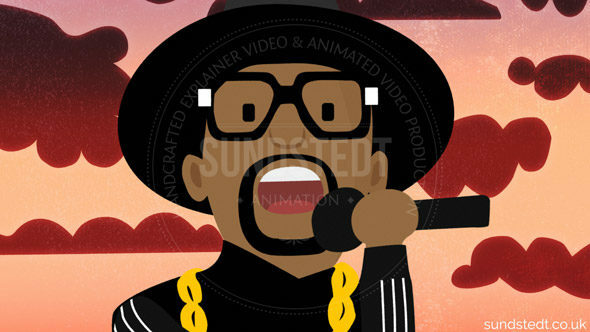 animated music videos are also very useful for artists not wanting to appear in their own videos. Have you seen something online that you like? Contact us now to learn more about how we can help to develop a killer animated music video that is very cool and quirky (optional). Make Awesome Music Videos Without Filming. 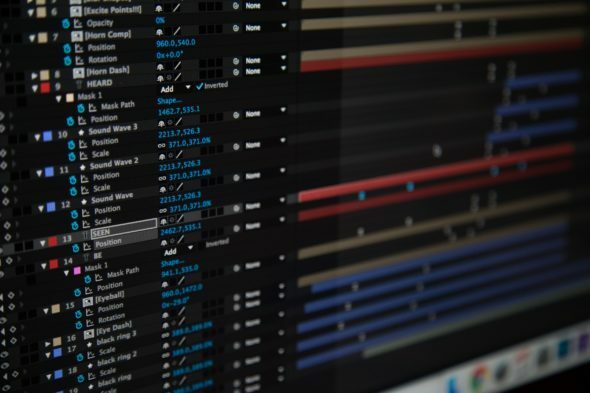 If you look at it in more detail, calculating all the different expenses for producing a live-action music video, animated music videos can be a much cheaper option. In addition, there are more ways you can be creative. Our animation studio can come up with brand new ideas that wouldn’t be possible to implement in a filmed music video, bringing virtually unlimited possibilities to your music video. So, no matter what genre of music video you create, animation can indeed illustrate your song with a lot more freedom than live-action can. 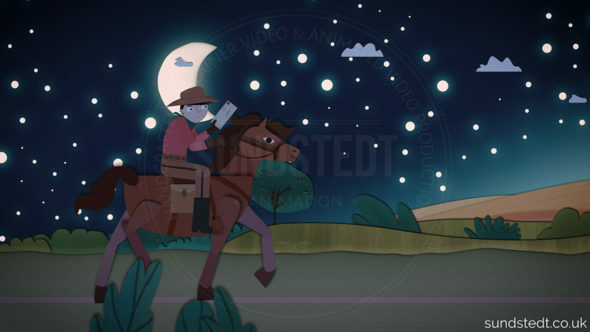 Additionally, Sundstedt Animation can work in whatever artistic styles you would like to create your best animated music video, and we always start with coming up with a style that is unique for your video, to help your song stand out. This includes designing all artwork, characters and backgrounds in-house from scratch. We have 3 top animated music video and a 4th one is released shortly. 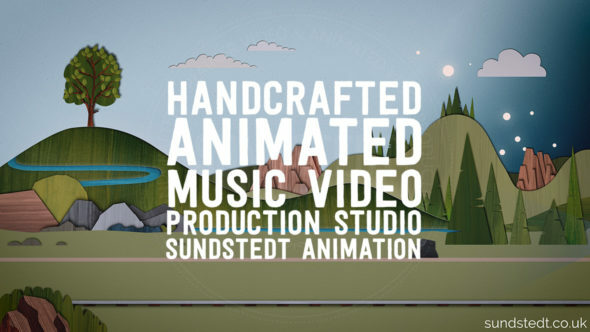 Sundstedt Animation offers many types of animated music video productions. 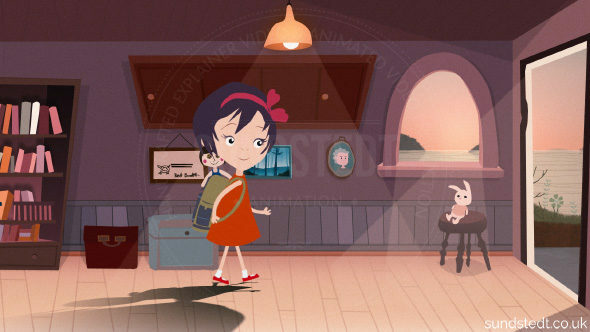 Anything from 2D cartoon animation to 2.5D compositing and paper cut-out-like styled animation production. We also do anything from animated country music videos, 80’s style animated music video, trippy animated music video, animated dance music videos, animated kids music videos, Christmas animated music videos, Japanese animated music videos and funny animated music videos. We will always make sure that you’ll get a professional, cool animated music video to your satisfaction, just check out our client testimonials! We think the quality is key, so we recommend reviewing some of our previous work, to see what we can do and our unique, quirky design styles. We always aim to push Sundstedt Animation Studio beyond what´s been done before, to make the most colourful animated music video of all time. With the internet, the platform for music videos is larger than ever before and with videos being shared on social networks, generating millions of fans, cool animated music video can be a very powerful way to spread your new song worldwide. Simply get in touch to discuss your idea for a video today. While TV is not showing music videos the same way as MTV used to do, we can help you make your animated video really shine! Give us a call or send us your track today to discuss options and receive a free quote. 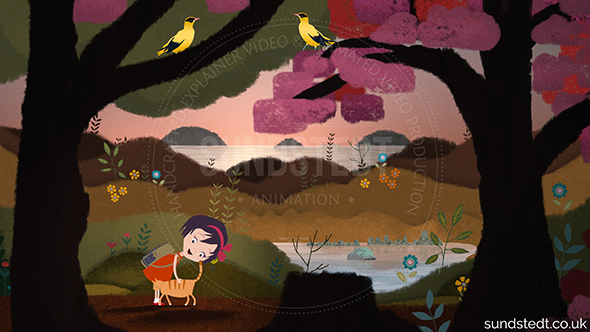 In our animated video portfolio gallery, you can see many different examples of our types of animated videos that we provide. Keeping in mind that animation can be more simple or more complex, the more advanced animations can be more expensive than a more basic animation. That’s due to things like the quality, visual style, effects, timeframe and special requirements. It’s all really down to what you really need for your animated music video and what budget you have. We can help to come up with the best style and solutions based on your own needs and budget range. We have years of experience and we understand the techniques and art involved in the creation of animated music video, with the creative forces of music and animation, destined to be together. Our cool animated music video help to promote your band and your song and our videos are designed to help increase awareness by being of high quality and made from 100% from scratch in-house. Shooting high-quality live-action music videos is a very costly thing for a band, you’ll need a very big budget to cover everything from a shooting team, lighting, actors, location, transportation and more. 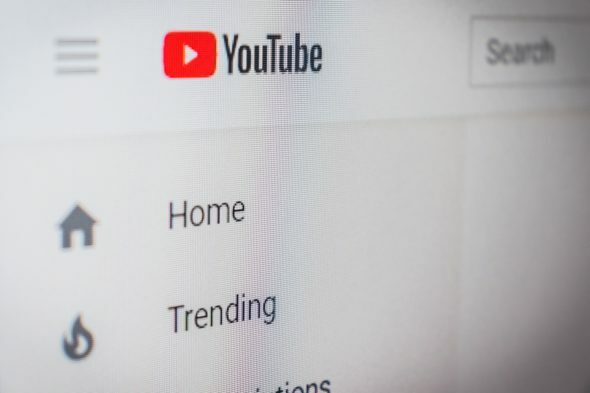 Even after spending all that, your video still may not stand out from all the other music videos released every day online. In the past, artists made music videos for audiences of channels like VH1 and MTV, while today the music video industry is very different. Today, animated music video debut online on social networking and websites like Facebook, YouTube, Vimeo and Twitter. 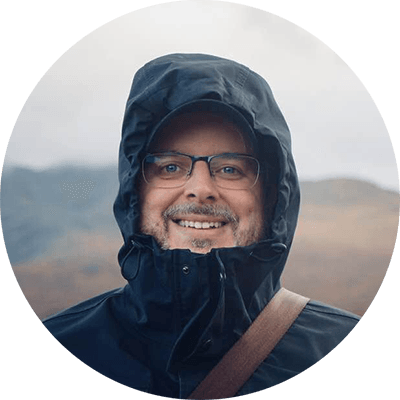 A quality, custom-made, fun, intriguing and interesting video can be shared by the sites millions of users. An animated music video is a great way to bring your tune to life using high-quality, explosive, innovative techniques and methods. Considering that the majority of bands still prefer live-action music videos helps make animated music video more different, unique and amazing. With creativity and imagination, a whole new world can be created inside an animated music video, with unique characters. All you need is to hire us, we do all the work of illustrating and animating the video, using a variety of different animation techniques. And we are here for you to discuss your project. 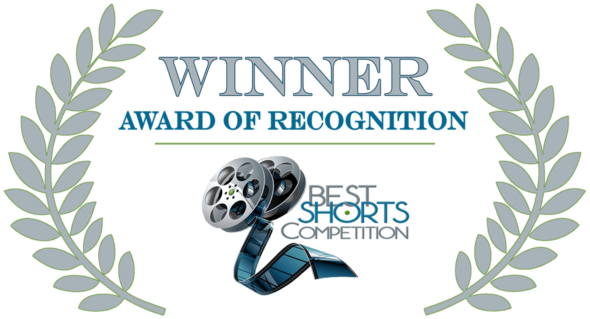 We know that finding the right animated video maker is not easy, but we are here. Ready to do our own magic for your next video release, helping you stand out from the crowd. An artist can take a new song and introduce it to the masses quicker than ever before, creating something fun and shareable with a video that online users are going to want to show to their peers. With the help of a stunning animated video, they are an innovative way to spread your music worldwide. An animation is limitless and can allow you to open your mind to amazing possibilities. Having years of experience in creating awesome animated music video for music bands and artists, we keep fine-tuning our skills and keep developing high-quality animated music videos for all musical genres including pop, rock, country and metal. And we are proud of all the results and client recommendations. 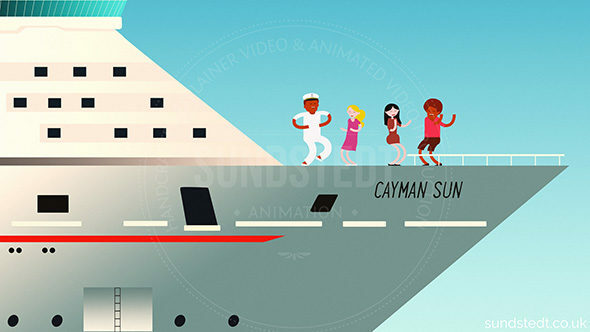 Just check some of our animated music videos examples. 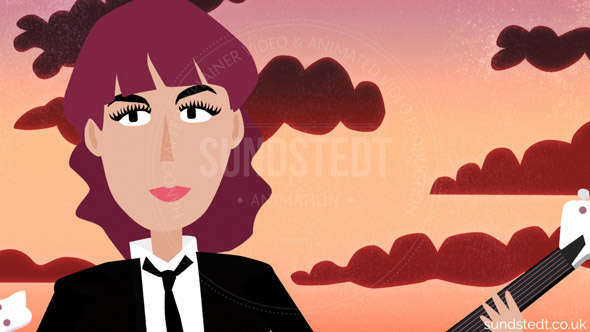 Whatever music style you create, an animation brings your song to life and Sundstedt Animation is your experts for unique, custom-made, cool animated music video. Whatever style you’re looking for, we can help turn your vision into reality. We’ll take the audio track of your song and design a new animated video that helps it with stunning, different, intriguing, memorable visuals. As you can agree, the great thing with animated music video is that you can create anything, from a simple lyric video to amazing, lyrics-driven stories cartoon animation. The many benefits include kinetic typography, animated storylines, social media ready, improved search engine listings and striking visual content. 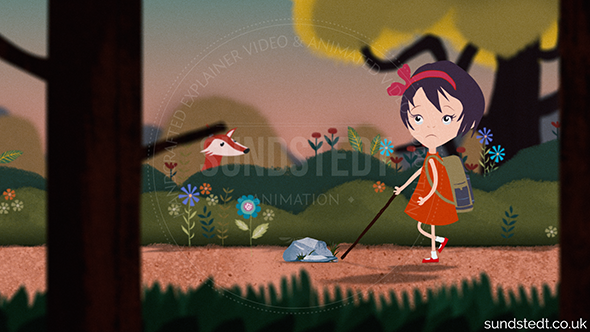 We customize animations to suit your video. So don’t just be another live-action music video on the web, contact Sundstedt Animation today and we will bring your music video ideas into reality, however mad! 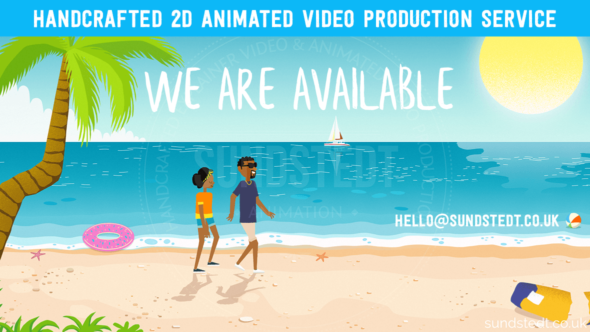 Call us now to discuss your animated music video needs, and let’s make something new that will set you apart! There’s no better method of making your music video stand out from the crowd, whether it’s stop-motion, traditional or hand-drawn. A reason why music videos are very useful to artists is their ability to strengthen the emotions that the song is meant to portray, either in pure animation or as a combination of animation and a live-action. 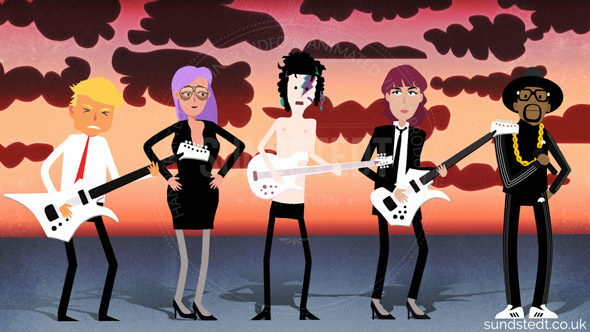 Our animated music video production is made in-house from Glasgow, Scotland, UK. Our top animated music video business is ready to help you make very creative music videos in your genre. Working with different 2D artistic styles, coming up with unique ideas, giving a more impressive kind of music video. With our amazing client feedback and results, you can trust our music video production services to help you stand out from the crowd. 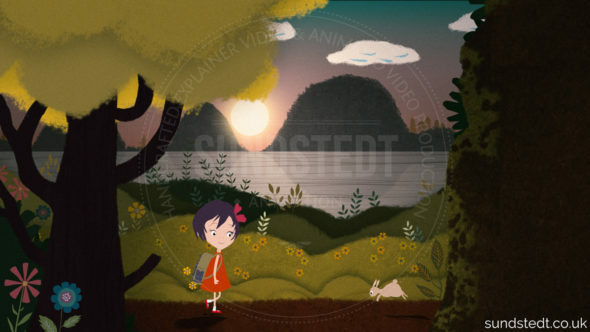 Sundstedt Animation has become a reputable animated music video maker, UK and worldwide. We have bands and artists from the UK, Ireland and the US. Our 100% custom made videos for your website, social networking and the video sharing sites like YouTube. Just email us and tell us more about what you need and we can make something unique and different with your song. In an area that’s crowded, including online music and social media, it’s key to stand out, so making a video that’s recognizable and fun to watch is very important, and that’s what we do! We are committed to making each new video we make as great as possible and helping provoke emotion. We want to help you make a killer animated music video for music marketing, promotion, social media and video websites. The majority of music video production studios are happy to play it safe, but we believe that you have to go that extra distance to get a better music video. As music videos are big business (Vimeo, Vevo, YouTube, MTV etc.) so if you don’t have an awesome music video for your best tracks you are missing out, and using animation to promote your music, it allows tapping into another element beyond the music itself and can really support and boost the emotions between the music and lyrics. 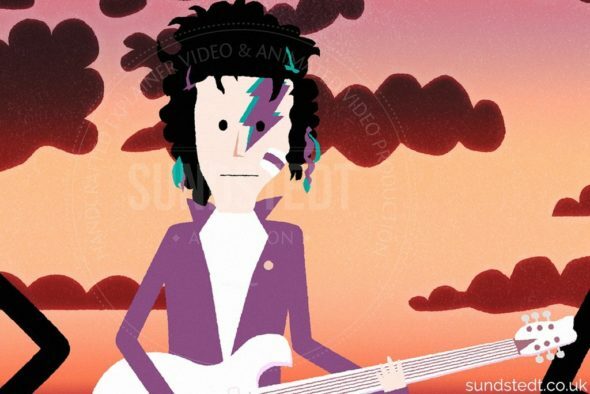 Although animated has been used since when music videos started, they continue to grow in popularity, and with digital animation, there are more techniques available to make them. We love to work with artists willing to experiment with the music video for their top tracks, really giving their animated music video production more character and generate visual impact. The use of animation can be an amazing way to create an awesome music video, make people smile (or cry) and wow the masses. It allows you to go beyond what’s possible in live-action music videos.